So it’s always a joy whenever I get to eat some sort of oven-braised stew that is fork tender! Beccause that, my foodie friends, is legit heavenly food! 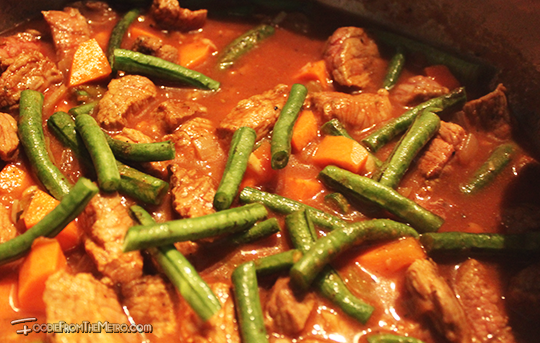 That’s why for last night’s dinner, I decided to make Mexican Beef Stew (or yes, you can call it kaldereta if you want to. 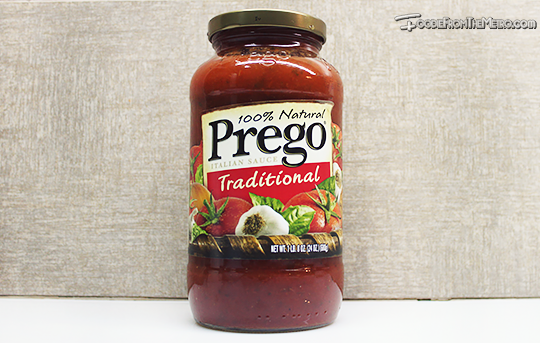 -wink-) I also decided to bring along an old friend of mine for my cooking because this baby would definitely give the sauce a good kick! What else but Maggi Magic Sarap! Pre-heat your oven to 300°F or 150°C. (Position your rack in the middle). In a large bowl, combine your beef cubes, chili powder, and salt—toss it all well. Set aside. Bring out your pot, and under medium heat, warm up your oil (in my case, I used butter). 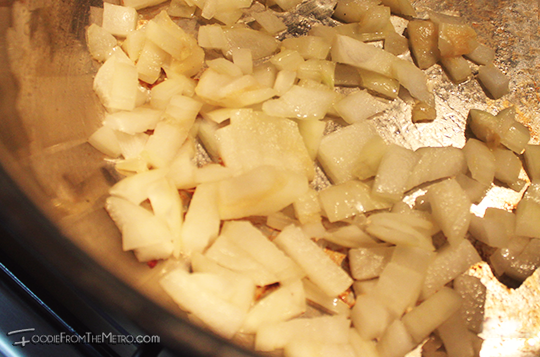 Toss in the onions and sauté them until translucent. Stir in your tomato (or tomato paste) and fry for 30 seconds. 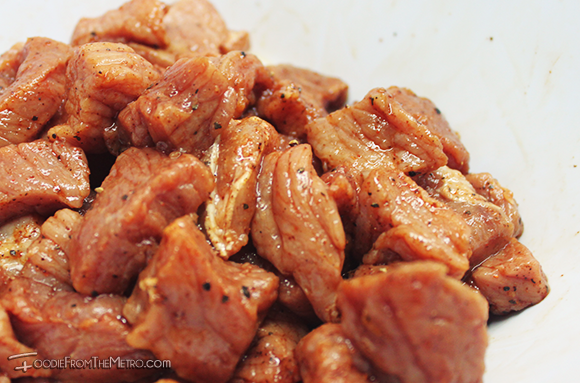 Toss in your garlic, as well as the seasoned beef cubes. Add the Maggi Magic Sarap spice! Toss in the carrots and the green beans. Mix well and then bring to a boil. Now cover the pot and then put it inside the oven for 3 hours or until beef is tender. 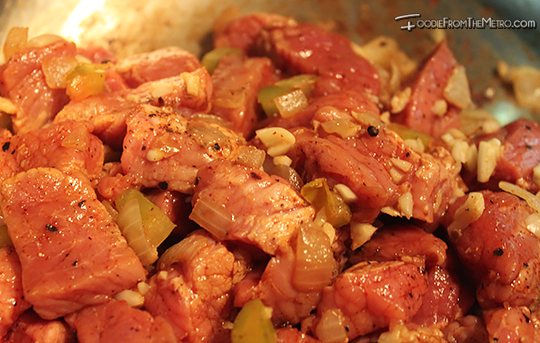 Once it is done to your liking, add some more spice if you deem it necessary. And then, there! You’re done with your fork-tender beef! 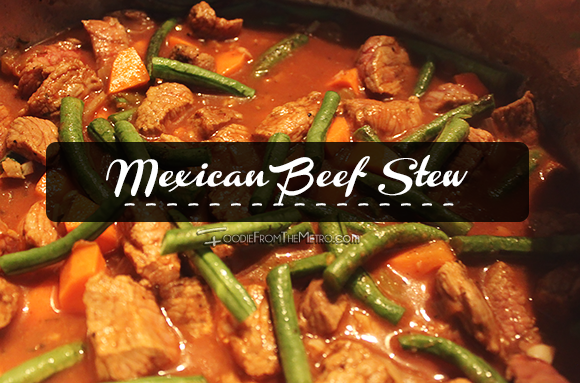 You can top the stew off with some parsley or cilantro. I served my Mexican Beef Stew Recipe along with some healthy brown rice and lettuce-tomato salad. The verdict? OH YUM! I actually cooked this for my best friend, Jonas. He’s Belgian, and he usually finds it quite hard to like certain Filipino dishes (such as this; like me, he had the unfortunate experience of tasting tough beef caldereta meat). But thanks to this oven braising technique, he found joy in eating this dish! He also quite liked the sauce, and I’ve got Maggi to thank for that! 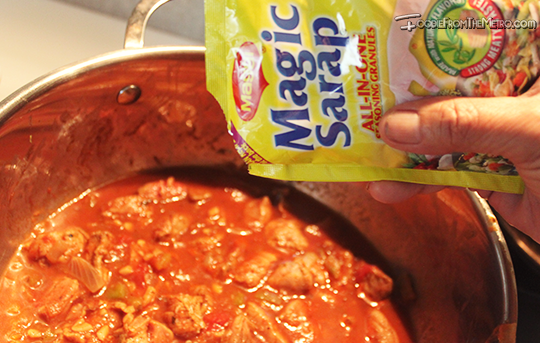 The Magic Sarap concoction is definitely a great cooking partner. It actually goes along with everything! As long as you need some added spice and kick to your recipe; it’s definitely there at your service. So if you want to check out other recipes that you could try out with Maggi Magic Sarap, then check by this link. Do you use Maggi products?